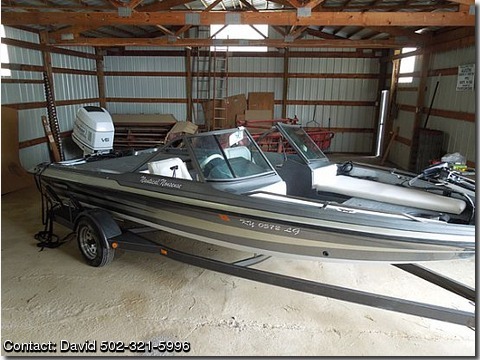 Call Boat Owner David 502-321-5996. Everything has been re-done on this boat. just SOME of the improvements made to this boat…. operated trolling motor to eliminate the "Captain Morgan" position. rips in seats using them as a step. access built in cooler underneath. stereo and JL audio Amp. of a kind You will never see any boat like this one. chance to own a brand new boat for half the cost. take this boat strait to the water is included besides life jackets. power for recreation, yet serious enough for the avid fisherman. have completed several bass tournaments with this boat.